Beautiful style, fire resistance, energy efficiency, and proven performance. Metal roofing is good for quality neighborhoods and communities. Beauty & Curb Appeal– Homeowners around the area will see and appreciate the significant upgrade that an Isaiah Industries metal roof will bring to your neighborhood. Potential owners will see and appreciate the significant upgrade that an Isaiah Industries metal roof will brings to your condo community. With shake, slate, and shingle profiles to choose from, any neighborhood receives lasting beauty and enhancement. Increased Property Values– A metal shingle, slate, shake, or tile roof will help the homes in your neighborhood stand out—making houses sell faster and for a higher value. For multi-family communities, the right roof will help maintain each owner’s property value, and become a favorable factor in your HOA agreements and budgets. The value continues a few years down the road, when conventional roofing choices are looking old and tired from streaking, staining, and curling, while the metal roof still looks like new. Enduring Good Looks- A lifetime, maintenance-free solution, a metal roof from Isaiah Industries will save you time and money otherwise spent on maintaining and replacing other roofing systems. 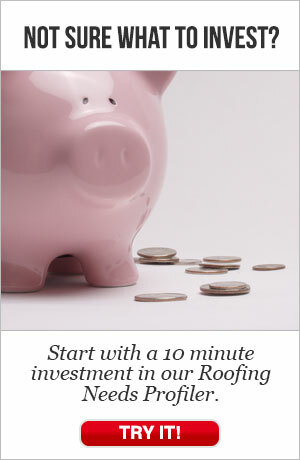 You will no longer have to worry after each severe storm about how your roof performed. Resistance To Streaking and Staining- Particularly on the north side of homes, or in areas prone to high humidity and with surrounding trees, other roofing materials can look very old after just a few years. Nothing resists streaking and staining better than metal roofing. Neighborhood Desirability- By eliminating the need for future roof maintenance and replacement costs, property owners will be able to invest in other home upgrades. This will bring more beauty into the neighborhood, increasing value as a whole. Fire Safety- Metal roofs are non combustible and can help prevent the spread of fires. Windblown embers from forest fires do not pose a threat to a metal roof; and metal roofs prevent the spread of a fire across a community. Additionally, the low weight of metal roofing eliminates the cave-in threat posed by heavy roofing materials such as tile and slate in the event of an interior fire. Save Energy- Quality metal roofs will have heat-reflective coatings that reduce summertime attic heat gain. Roofs with these coatings will typically be listed by the Us Department of Energy Energy Star program. Additionally, the formed thickness of shake, shingle, slate, and tile profile metal roofs creates a thermal break which stops conductive heat transfer from the to the decking and on into the attic. You can increase the attractiveness and value of top-floor residences. Metal roofs also have very low thermal mass. Heavier roofing materials with great thermal mass will collect heat in the day and continue to radiate it into the home even hours after the sun has gone down. Property owners typically report summer energy savings of up to 20% or even more after a metal roof is installed. Close The Recycling Loop- Installing a metal roof often avoids the problem of old roof disposal, by installing right on top of old roofing systems. Along with this, metals commonly have very high recycled content: 35%+for steel and 90%+ for aluminum. And, at the end of its long, useful life, a metal roof is 100% recyclable.